Everyone likes to smell nice. It feels good to be fresh and clean and lightly scented with something pleasant. Unfortunately, commercial perfumes and scented beauty products can be a major source of unhealthy chemical influx into your body. Essential oils can be used as standalone perfumes or you can mix them to create your own blends. For standalone perfumes, lavender is a great option for women and cedarwood is our top pick for men. Have you ever felt nauseous when you smelled a certain perfume? Or gotten a headache when someone had it on too strong? It may not have been just a factor of the fragrance. The recipes for these products are considered ‘trade secrets’, which means that they can take advantage of a major loophole in disclosing their ingredients. Perfume makers are allowed to hide thousands of hazardous chemicals under the seemingly innocuous terms ‘fragrance’ and ‘parfum’. This means that there is no way to know if your personal favorite fragrance is actually loaded with toxins that are poisoning you or not. Chances are that your favorite perfume is loaded with chemicals. Over a hundred different organizations, including the Environmental Working Group and many other non-profit health organizations, united to form the Campaign for Safe Cosmetics. They took it upon themselves to test a variety of the most popular perfumes and colognes. The results were not encouraging. Almost all of these mixtures contained a dozen or more secret chemicals that were not disclosed on any of the labeling, despite being known endocrine disruptors and carcinogens. The researchers found that most perfumes included at least ten undisclosed chemicals associated with asthma, headaches, and contact dermatitis, and four hormone-disrupting chemicals linked to sperm damage, thyroid disruption, and cancer. Those sweet scents don’t seem so romantic any more, do they? But you don’t have to forego a nice perfume entirely. There are certainly a number of clean perfumes out there for you to choose from. We have a list of the best natural perfumes if you just want to buy one. Or you could go with a way more fun option and mix your own. That’s right. You can make your very own blend of perfume in your bathroom or kitchen with natural and harmless essential oils. 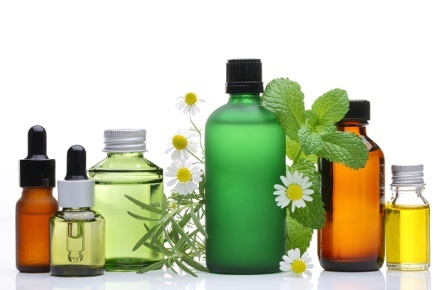 Essential oils are extracts of different plants that have specific fragrances and medicinal properties. These properties aren’t as concentrated as a pill or a drug, but they can have an effect on your body none-the-less. Some oils are relaxing. Some are invigorating. Some help you concentrate. Others boost your immune system. For this reason, using essential oils as perfume may not only smell great, but make your body and mind feel great as well. Perfumes typically have three layers: Base note, middle note, and top note. The top note is what you generally smell first, followed by the middle note and then the base note. By combining different essential oils, you can achieve a variety of fragrances that don’t smell like any one thing, but rather have their own new and distinctive fragrance. This mixture may change slightly over time as the oils interact, meaning a fragrance might take a week or two to really ‘develop’. 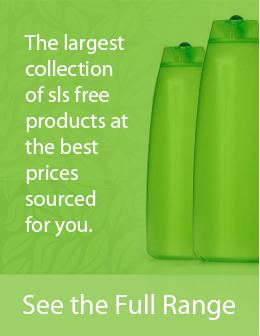 If that sounds like too much for you, there are also a number of essential oils that can be used alone as a fragrance. For women we recommend lavender, rose, or jasmine. For men, cedarwood and patchouli are our top picks. Mix a few drops of any of these oils into a little carrier oil or witch hazel and apply as you normally would a perfume. You can either roll it onto your wrists and neck or spritz it over your face and hair to freshen up. Start off simply and then add oils as you learn how the scents interact. You might find a mix of three that suits you perfectly, or maybe you like to smell the whole shebang. Just don’t forget that the fragrance may change as the oils integrate. Mixing your own oils is a great way to still get to wear perfume without worrying about any of the side effects! These natural perfumes also won’t have the side effects on other people that conventional perfumes tend to have, such as coughing and throat irritation. Instead, you’ll be subtly spreading a little aromatherapy everywhere you go. Once you have found a ratio that you like, write down how many drops of each oil you need. Then you can easily replicate the recipe whenever you run out. And remember that even once mixed, essential oils need to be stored in dark bottles so that ultraviolet light doesn’t diminish their properties. Try putting them in amber bottles or using a refillable tube with a roller cap. If you are pregnant or nursing, be careful with essential oils. Make sure you know what is in any blend and be sure that it isn’t something that could be transferred to your baby. Some essential oils can cause miscarriage. Now that you have a healthy perfume that isn’t poisoning you, you can finally feel great about smelling great.